The early settlers of southern Deerfield township were great admirers of Lord Chatham, (William Pitt) and in February, 1828, they petitioned the court of Common Pleas of Tioga County, for the formation of a township to be taken from the southern portion of Deerfield township, to be known as "Chatham." The court answered their prayer, and the township of Chatham was duly organized; such organization to take effect in the year 1829. In the year 1829, Allen Fraser, Jr., assessor, returned to the county commissioners the first assessment for the new township. The names of the taxables were Cyrus Ames, Aaron Alba, James Allen, Francis Burrell, Alexander Burrell, Beersheba Bates, Asa Bates, Silas Billings, Daniel Baker, Martin Boardman, John Bates, Nathan Baker, Stepehn Colvin, Joel Crandall, Samuel Carpenter, Allen Fraser, Jr., Eddie Howland, Jr., Joseph Howland, John Knox, William Knox, David Lesure, John Macumber, Joseph Matson, David Seamens, Lovell Short, Samuel Strawn, John P. Tracey, Elijah Thompson, Samuel Taylor, Widow A. W. Tracey, William Wass, Joseph Yarnall. Several of the above named was non-residents. The northern portion of the township facing the Cowanseque valley was peopled by settlers who came in from New York by that route, and the southern and eastern portion by those who came up the TIOGA and Crooked Creek valleys. The early settlers along the valley of Crooked Creek, were W. L. Merrick, William Spalding, Doctor Harvey Leach, John Short, Rensalaer Toles, Robert Hill, Asa Short, Nehemiah Beach, H. B. Leonard, David Lesure, George Hawley, Lovell Short, Daniel Hill. In the locality now known as the "Close District," were Caleb Closse, Reuben Close, Charles Avery, Armand Close, Abel Close, Amasa Clark, Samuel Miller, John McCumber, William Wass, Russell Temple, Sylvester Treat, Benjamin VanDusen. Upon the south and central, were Benoni Hill, Z. Burdick, Frank Spencer, Aurora Spencer, Calvin Davis, Moses Wilhem, Joseph Wheeler, Whit Wheeler and Calvin Wheeler, Azariah Slocum, Samuel Main, Jesse Moffett, Artemus Crippin. At Shortsville, in Chatham township, the early settlers were Lovell Short, John Short, Jr., Miletus Brown, Peter Hoteling, Lemuel Jackson, James Gee, C. A. Carpenter. Other early settlers were Burdick Hill, Daniel Shoves, Asher Manning, Harlow Boyce, Ezra Allen, Phillip Erway, Samuel King, Winchester Cooper, Abram Wormer, Alexander Lattimer, John Winters, William Brong, James Doane, Daniel Doane, Jerry Garner. The township like all the territory in Tioga County, was covered with a heavy growth of timber. 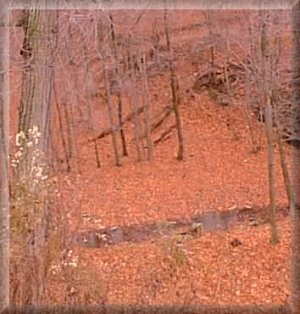 Some of the finest pine in TIOGA County, grew along Crooked Creek and its tributaries in Chatham township, and in the early history of the township, lumbering was carried on extensively. Mr. John L. Sexton, Jr., in his history of Chatham, written for W. W. Munsell & Co., says: "Few of the present day appreciate the hardships and the privation of the pioneers, who forty or fifty years ago came into the wilderness and began clearing up new farms. These privations and hardships we have often alluded to in our general and township histories. In Chatham there was the same experience as elsewhere; conflicts with the panther, bear and wolf, and sport with the deer, elk and fish; the log house, the sheep or cattle fold, the clearing of fallows, the logging bees, the raisings, the social gatherings, the cutting out of roads, the erection of mills, school houses and churches, the humble fare, the rigid economy, sickness, deaths, marriages and births, and were we to relate them, it would form a section almost identical with those on other localities. The words ‘pioneer,’ and ‘early settler,’ convey to the mind of the readers all these experiences and lead them back to the times when this our land was new." --The mean altitude of Chatham is about 1,500 feet above tide. --The first saw mill was erected by Nehemiah Beach on "Nate Mead’s" brook. --Crooked creek is a tributary of the Tioga river, uniting with that stream at Tioga. --Wheat, oats, corn, buckwheat, potatoes and the orchard fruits are grown with profit. --The villages in Chatham township are Little Marsh, Shortsville and Keeneyville. --Tobacco has been raised quite extensively in the valley of Crooked creek, in the township of Chatham. --In point of agricultural wealth, Chatham stands twelfth out of a list of twenty-eight townships in Tioga County. --There are fourteen schools in the township, where about five hundred pupils were instructed for seven months in the year. --The principal stream in the township, is Crooked creek. Its principal tributaries are Norris brook and Nate Mead’s brook.